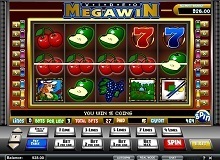 Mega Win Slot is a game made by the company iSoftBet. iSoftBet is a leading name in iGaming. This company has produced some of the most popular online slot games to date. The Mega Win Slot features a theme of retro-style, old-school casino machines. You will get be charmed by the outlook of the game as soon as you start playing. The entire slot is designed in a way reminiscent of the casino machines of old. This play features 5 reels with 3 rows and 9 different pay lines. The minimum bet in this game is 0.02 EUR on 1 pay line. The maximum bet is 2 EUR on all of the 9 pay lines – for 27 EUR in total. The sound effects that this title produces are in line with the retro casino machine feel. We particularly like the relaxed saxophone music that plays some of the times when you lose a spin. It’s almost worth it to keep on losing just so you can hear this music. Almost. Below you will get to learn more about the structure of the Mega Win Slot game and the special symbols and features. All you need to do to play Mega Win slot machine online is to select your bet size and the number of pay lines you will bet on. And then you need to hit the “spin button”. It’s as simple as that. The bonus symbol, the wild symbol, and the scatter symbol. 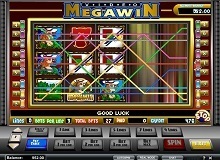 As you can see, the Mega Win slot is rife with different symbols that you will see while playing. Most of the symbols are regular, i.e. they have no special powers. However, things get really interesting with the Megawin symbol. 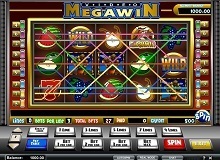 If you get 5 of the Megawin symbols on the reels – then you trigger the jackpot feature. You earn 5,000 coins with it. The wild symbol can replace any other symbol in the game – with a few exceptions. The exceptions are the bonus and scatter symbols, and the x2 and x4 multipliers. The x2 and x4 multipliers speak for themselves, you will double or quadruple your winnings with their help. The scatter symbols also multiply your wins. You can get an x1-x25 multiplier in this way. 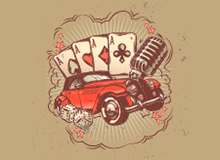 The bonus symbol activates a special round for extra winnings. There is no way that we know of in which you can beat the system. There are a couple of things that you need to know about how Mega Win Slot operates. The RTP rate of this title is unknown. We simply couldn’t find any verifiable information about the RTP rate. You should play this game at your own risk – it could feature a high or low RTP rate. You can play Mega Win slot for real money. But it’s also important to know that you can play a Mega Win free version as well. If you don’t really want to delve right in – then we recommend you to play the demo first. This will give you a chance to learn what this pokie is all about. You will also get to learn if you’re going to have fun by playing it. Above all else, you may get the great prize in this game by chance alone. The more you play, the higher the odds that you will hit some big winnings on the way – including jackpots. But because we don’t know the RTP rate or the game’s volatility – we suggest that you be careful when playing it. The Mega Win Slot by iSoftBet can be really fun entertainment to enjoy. The abundance of different symbols and special features will keep you entertained for a long time. However, the lack of information on the RTP rate casts a shadow over the otherwise solid impression that this game makes. We still suggest that you try and play Mega Win slot machine online. You will get a firsthand experience of what Mega Win casino slot online is all about. And we hope that you will enjoy playing Mega Win.